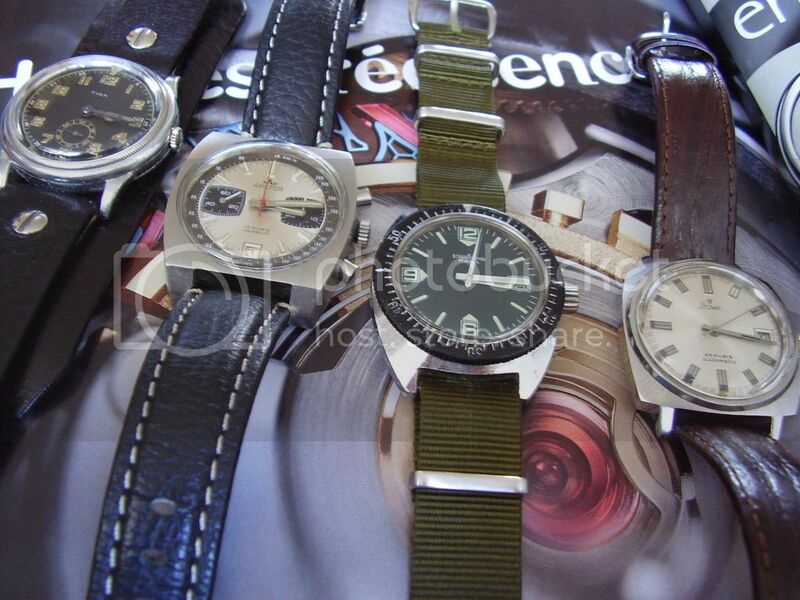 My four watches made in Pforzheim from late 20's to mid 70's. 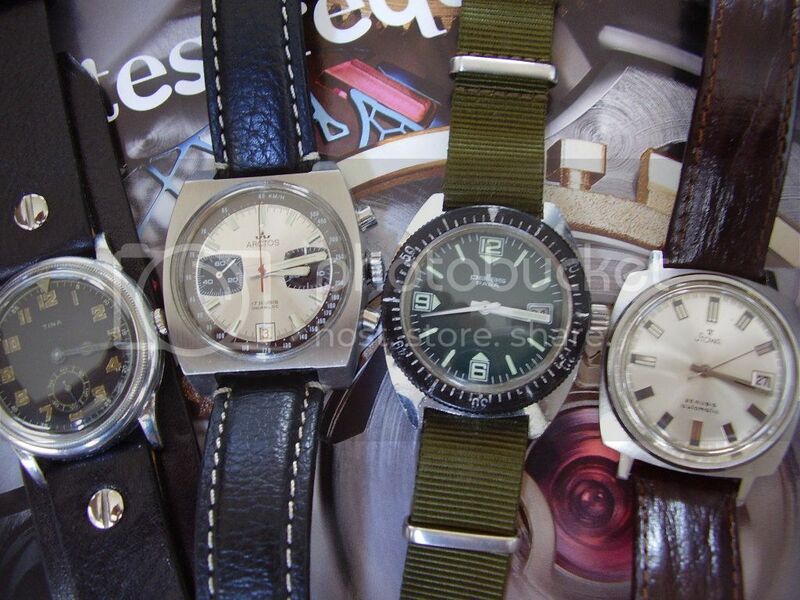 From left to right Tina (made by Robert Kauderer), Arctos, Para (Paul Raff) and Stowa. They are powered by AS 960, Valjoux 7734, Lorsa P25A and Durowe 7525 movements , respectively. Next Topic: What year model?